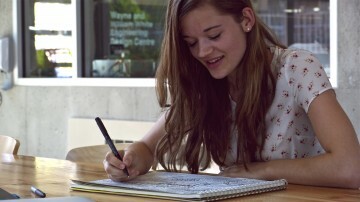 Katie has been volunteering with the LLP program at UBC since January 2014. She enjoys supporting participants in the roller coaster ride that is entrepreneurship. She finds the process of witnessing the LLP participant teams start their businesses from just an idea and blossom into a new venture particularly exciting. 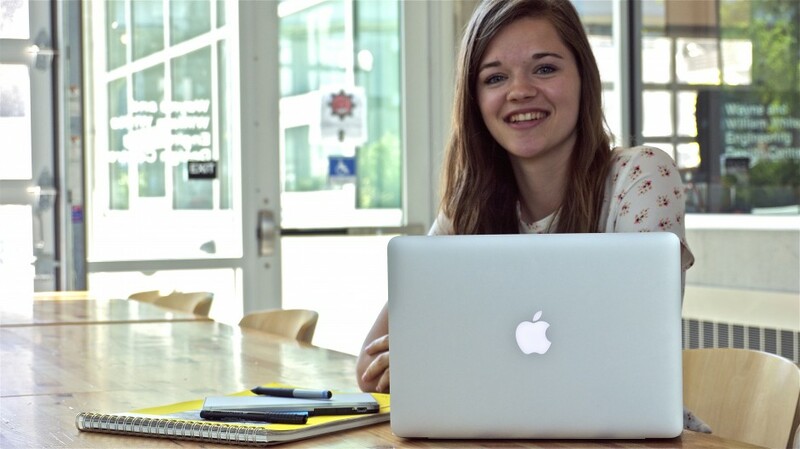 Katie is also a part of UBC’s Sauder Social Entrepreneurship team heading to Nairobi, Kenya this summer. The team will be teaching classes and working hand-in-hand to help Kenyan students start their own businesses. 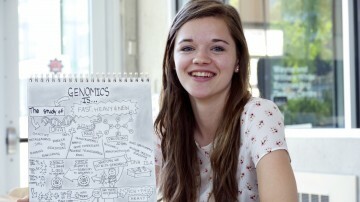 Katie is currently finishing her first year at UBC and she is planning to study psychology and business. In her free time, she loves to be outside hiking, paddle boarding, or running. Fun fact – Katie has played ice hockey since she was 5 years old and she was team captain at the BC Winter Games by the time that she turned 16. 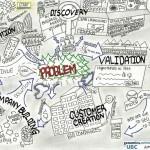 What is g.e@UBC Lean Launch Pad? Katie can you tell us what your role at g.e@ubc is? My role seems to be ever changing; I have recently started working with teams to help them visualize their stories and workflows. 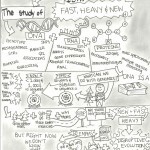 I’ve been creating infographics and mind maps or as I’ve had people say, “a crazy man’s flow chart”. These visual tools have helped us clearly see what areas need work and where we lack understanding. Have your responsibilities changed since you first started? At first, I started out researching entrepreneurship and was beginning to narrate the Lean LaunchPad story within UBC’s context. My responsibilities changed a lot after I decided to draw out what I thought the Lean LaunchPad ecosystem looked like, from then on those doodles have progressed into more specific and elaborate sketches. What aspects of your internship do you enjoy the most? Meeting so many different and interesting people! I have learned so much tagging along to events and from talking to other interns, project partners and Lean LaunchPad participants. I have also really enjoyed the creativity and enthusiasm that everyone involved exhibits; it’s allowed me to explore my interests and try new things. You have attended two g.e@ubc Lean Launch Pad (LLP) workshops and you have witnessed the work progress of two different cohorts, can you share with us one of your most memorable experiences? Through witnessing and interviewing the first cohort as they went through the Lean LaunchPad process, I developed a better understanding of the process. Through that, I came up with more relevant questions for them, which made our discussions a lot more fun and interesting. My favorite part was discussing how the process had changed their approach to entrepreneurship. The most successful teams seemed to be the ones who laughed at themselves the most, they were the ones would really powered through the adversity. What do you think is the biggest challenge that LLP participants experience at the beginning of the sessions? Personally I think there is a big focus on the product. We currently have all this potentially amazing technology, but the reality is, it will never market itself. The biggest challenges they seem to face is how they will get people to hear about their product i.e. getting out of the building and talking to people. What really seemed to help the teams was focusing on solving a problem, rather than selling a product. 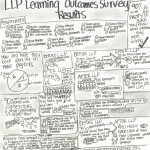 According to the LLP feedback survey you conducted among LLP alumni, many found the process to be beneficial. In your opinion, what aspects of the g.e@ubc LLP sessions are key to the participants’ success? Reading through the feedback was pretty funny. The answers to two of the questions were identical: What did you find most challenging? And What was the most valuable part of the program? Both answers were, ‘getting out of the building and talking to people’. I can also say that the mentor and instructor feedback was invaluable to every team’s success, however blunt it was. How teams handled the feedback was very apparent in their presentations. It was also great to witness the incredible collaboration between teams; they often introduced each other to new contacts and seemed to have learned a lot from each other. How do you define ‘success’ and ‘entrepreneurship’ in the LLP context? In this context I would say those who were ‘successful’ were those who could take what they learned from a situation and found a way to apply that learning. As for ‘entrepreneurship’, it seems to have a connotation that you are simply there to make money. But in the cases I’ve seen, these entrepreneurs are really passionate about solving a problem and helping others. So I’d say that an entrepreneur (in a University setting) is someone who has real passion and drive to go beyond the university and get their solution out to more people. This is something I’m wondering myself; I’m sure I am in for a complete surprise. It’s a strange concept to teach someone else about business in a place you have never been before; I am mostly hoping I can learn from them. Although there are a few things I can hopefully share with them, I hope we can both learn about the business model canvas as it seems to be much more hands on and tangible when compared to a traditional business plan. When you are not working in entrepreneurship and genomics, what are you most passionate about? I think I’m passionate about everything and nothing all at the same time. I recently quit playing competitive ice hockey, which has occupied most of my life for the past 13 years. I really love to learn, and get out and explore. I have some weird idea that one day I’ll figure out how the world works, which is unlikely, but it is always important to try. Honestly at the moment, I’m searching for something I am really passionate about; I have recently started drawing, cooking quite a bit, and of course I am always up for an outdoor adventure. If you had to give advice to other young people looking for work experience outside University, what would you say to them? I had absolutely no idea what I was getting myself into when I started volunteering here, and it’s worked out incredibly well. Simply, show up, be keen and don’t be afraid to step a little outside of your comfort zone. If there is one thing I have learned: no one is going to tell you what do, a lot of the time you just have to figure out how you can contribute.